Resistant bees has been created by a group of beekeepers on a small island in the Atlantic, La Palma, we have a total of 500 colonies without any treatment for diseases. We work with the native black honeybee. The following is simply the results of the experience we’ve gained while beekeeping over the past nine years, since we have copied the bee keeping system used by Dee Lusby, Arizona, under her guidance. Therefore, none of these beekeeping methods is our own development but rather come from the observations made while copying Dee's method 100%. There are several approaches to breed disease-resistant bees (resistant not only to Varroa but also to all diseases), but the system by Dee Lusby is the only one able to draw on 25 years of worldwide beekeeping experience with by now tens of thousands of colonies. In the last two years our bees have, to our great surprise, stabilized to such extent that we can now fully confirm that the bee keeping system works, but always with the restriction that we make no amendments. Each system only works when the interplay of all factors involved stays in balance, as soon as we change something, it is very likely that there will be complications. 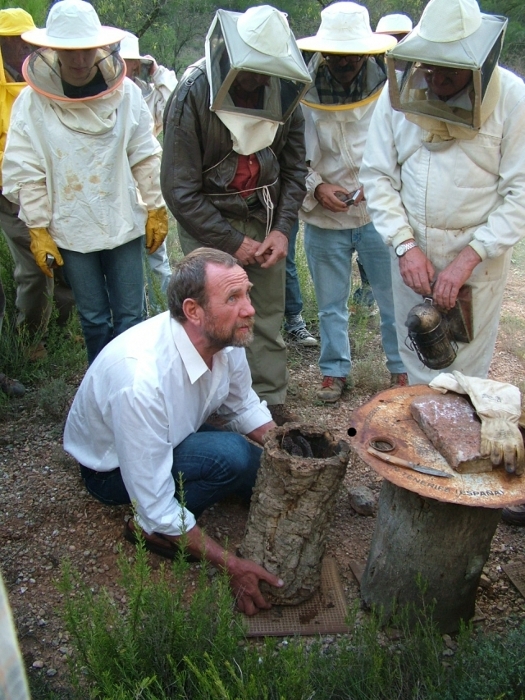 On Spain’s mainland tas well as in South America, there are yet a few beekeepers applying the system. How does the Dee Lusby beekeeping system work? The beekeeping system of Dee Lusby is too complex to be reduced to a short explanation. It only works step by step. I have given some speeches in Spain spanning over 4 hours and have only covered it partially. Let's take the Varroa as an example. There is no animal in nature that kills its host, but the Varroa does. In Asia the bees have lived with mites for thousands of years without harming the bees, however around here it is a bee killer. Therefore there has to be something wrong with our bees or at least the way we are interacting with our bees. The situation of the honeybee ‘Apis mellifera mellifera’ and similar ones is very concerning, their immune systems are severely damaged and they are no longer able to resist diseases by their own force. Our task is therefore to strengthen the bees' immune systems and to bring them back into harmony with nature. After these nine years I can see how we often unknowingly, but also frequently on purpose, make mistakes in dealing with bees and their present situation is the result. We must avoid everything that weakens the bees and whatever is against their needs and at the same time reinforce what they themselves show us is necessary.